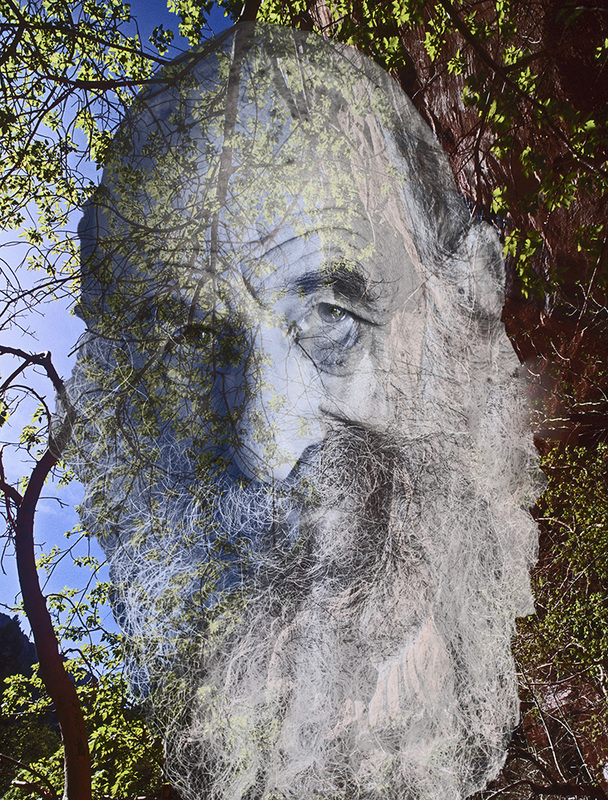 Author/Publisher Malcolm Margolin has been deeply entwined all his life with the natural environment. In this image, I combined a partially translucent monochrome portrait of Malcolm with a color image I made in Zion National Park. Malcolm's response: "Although I’m uneasy about intimations of narcissism, I find myself quite delighted at this interpretation of me merged into a world once characterized by Garcia Lorca as a dream of branches and branches of dream. Usually I’m disturbed by the gap between how others view me and how I know myself. This photograph seems to come closer to narrowing that gap than any other photograph or painting."